A sleeve to live up to! Today's project has a lot to live up to! 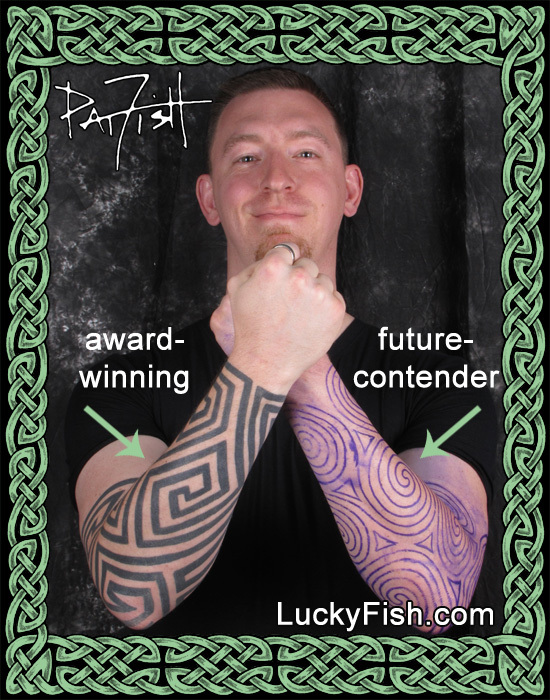 This "Pictish Keymorphic" right forearm received both People's Choice and Artists' Choice Awards for best tribal tattoo at the National Tattoo Association convention last weekend in Garden Grove, CA. On the heels of that big win, today Ben is back in the studio to achieve balance with a complementary spiraling pattern on the left side. It took a lot of planning and figuring to make a maze of triple spirals interlocking and filling the same amount of arm. 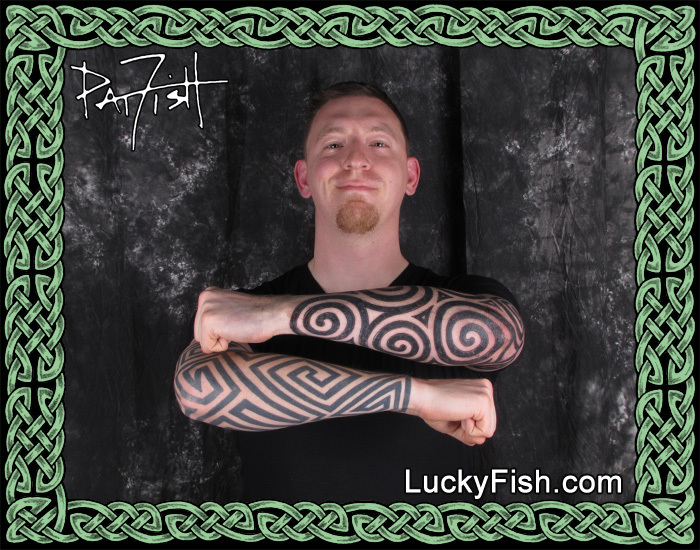 This way they are a pair with entirely different energy and flow, and a new way to look at "tribal" tattoos..
To read more about how this kind of custom sleeve tattoo is accomplished, visit the Full Knotwork Sleeves page.